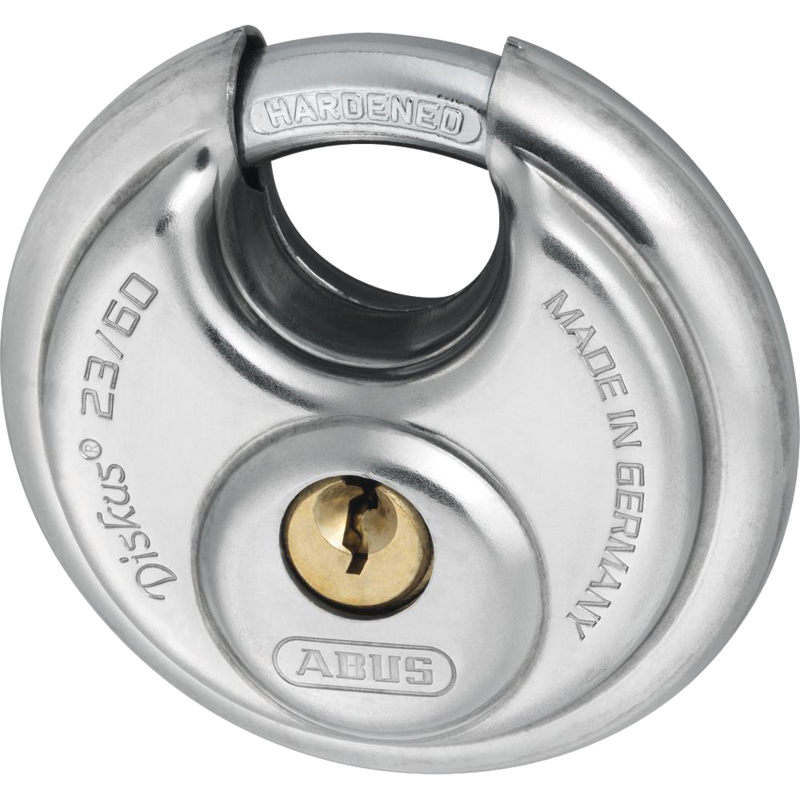 The Asec range of coloured bumper discus padlocks offer higher security than standard brass bodied padlocks, have a stainless steel body and offers reduced vulnerability to attacks on its closed shackle. 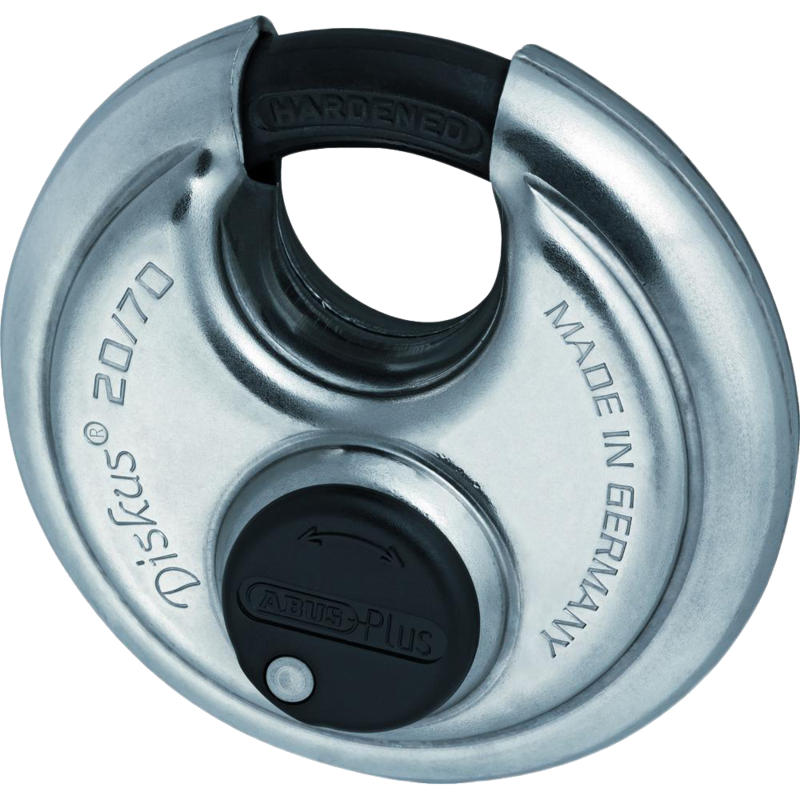 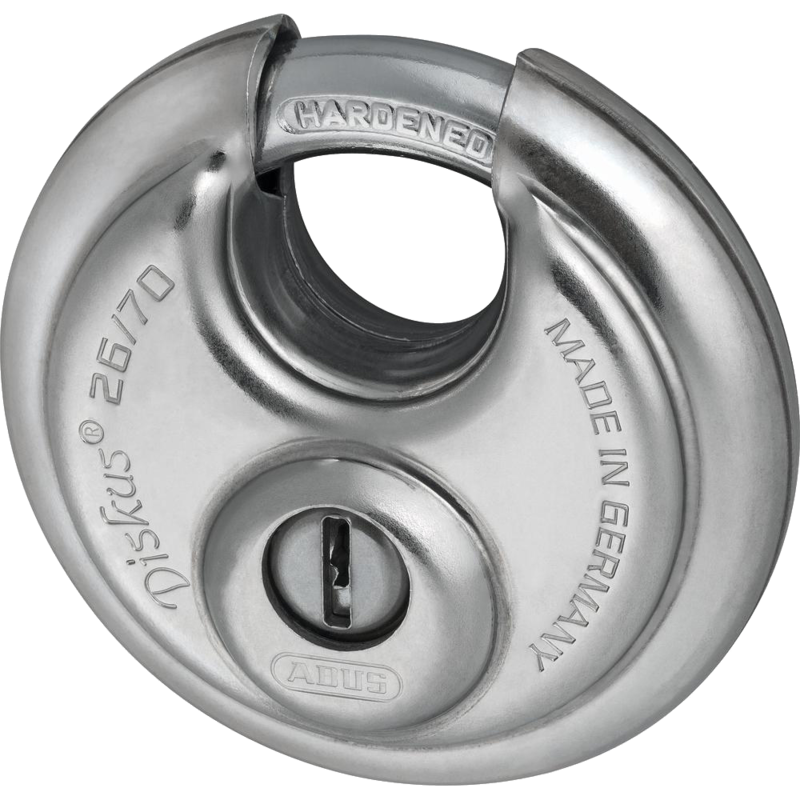 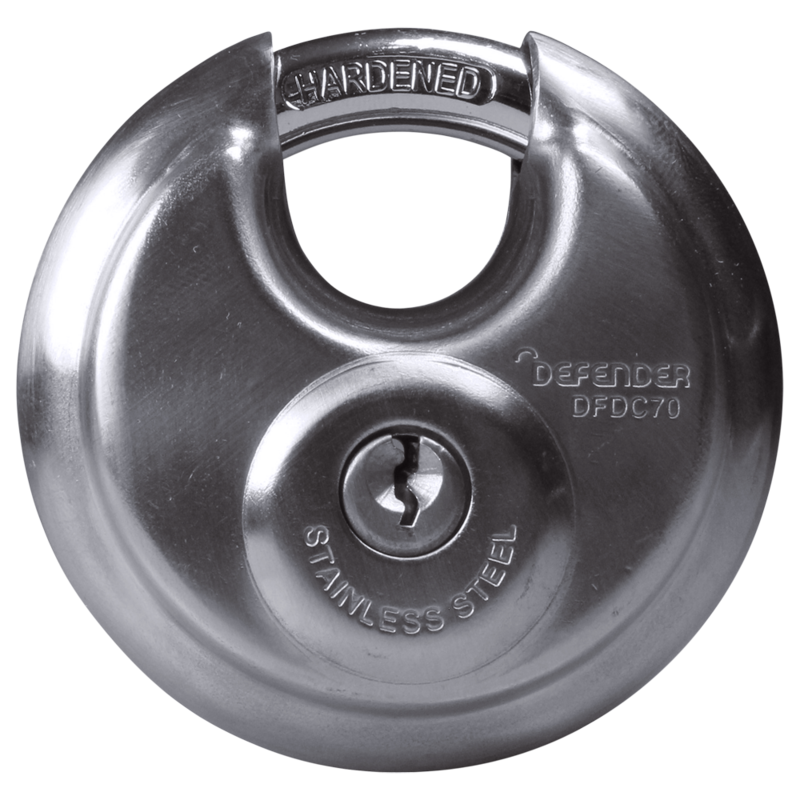 The Defender Discus Style padlock features a deadbolt locking lever and enclosed shackle, enhancing security by resisting attack. 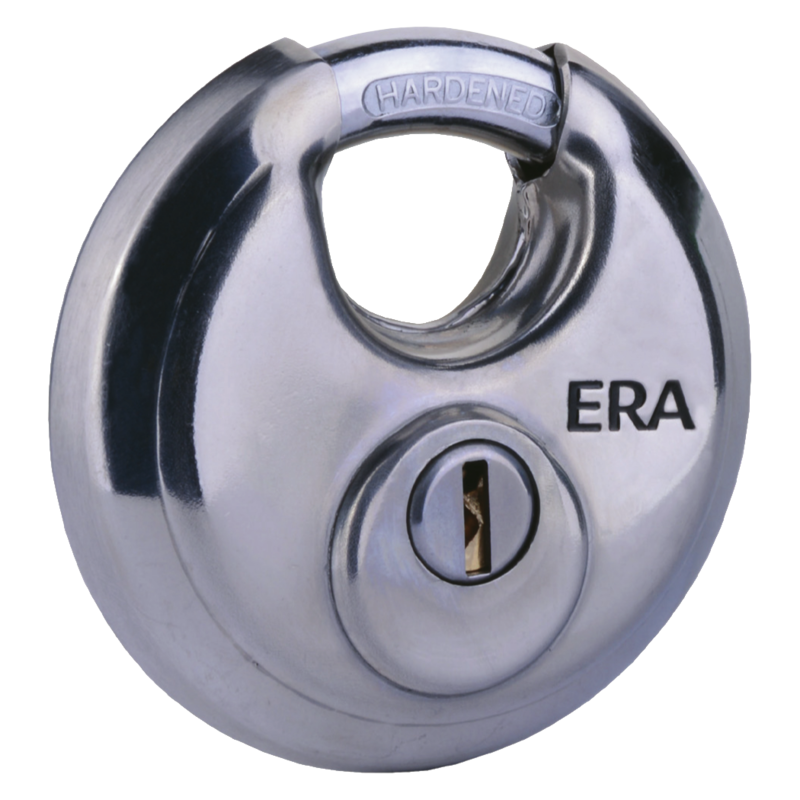 It is a heavy duty padlock which is ideal for outdoor applications and it is supplied with a 2 year manufacturer’s guarantee as standard. 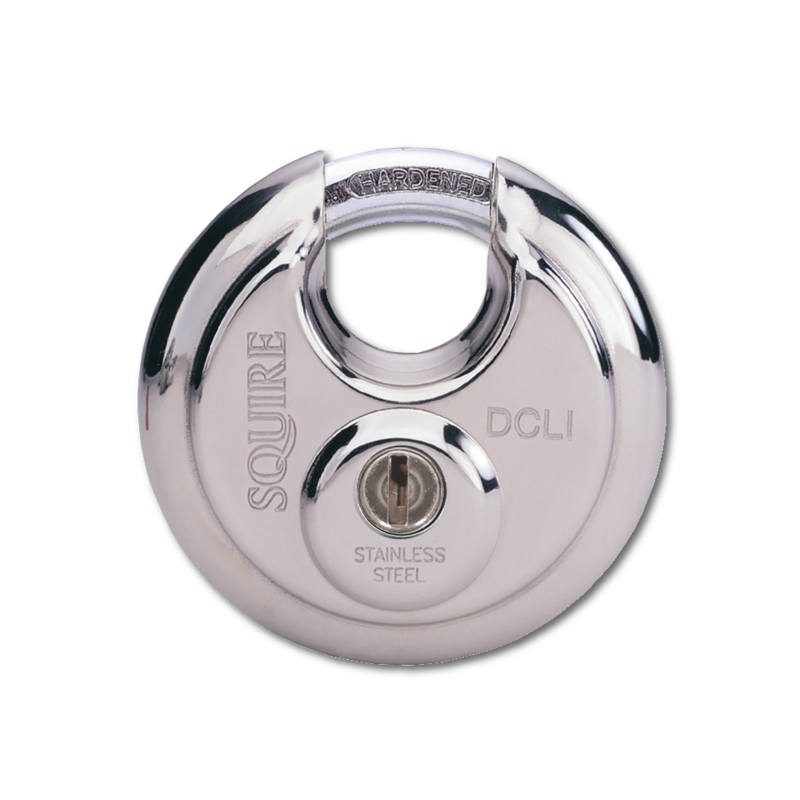 The Squire DCL1 Discus Padlock has a stainless steel body and offers high level security for domestic and commercial applications. 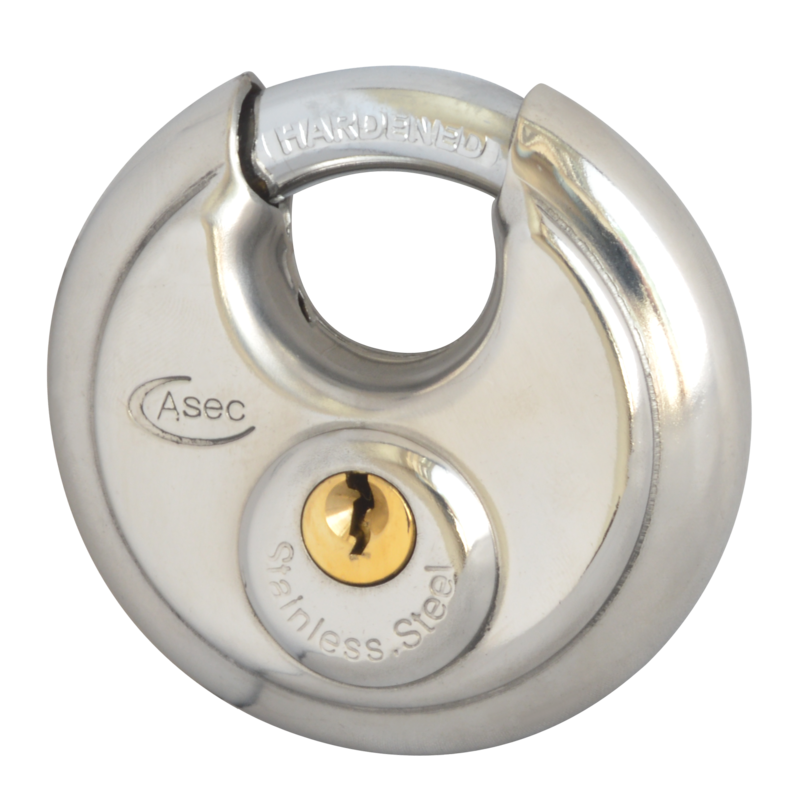 A hardened steel anti-drill plate protects the 5 pin tumbler lock mechanism as an extra security measure. 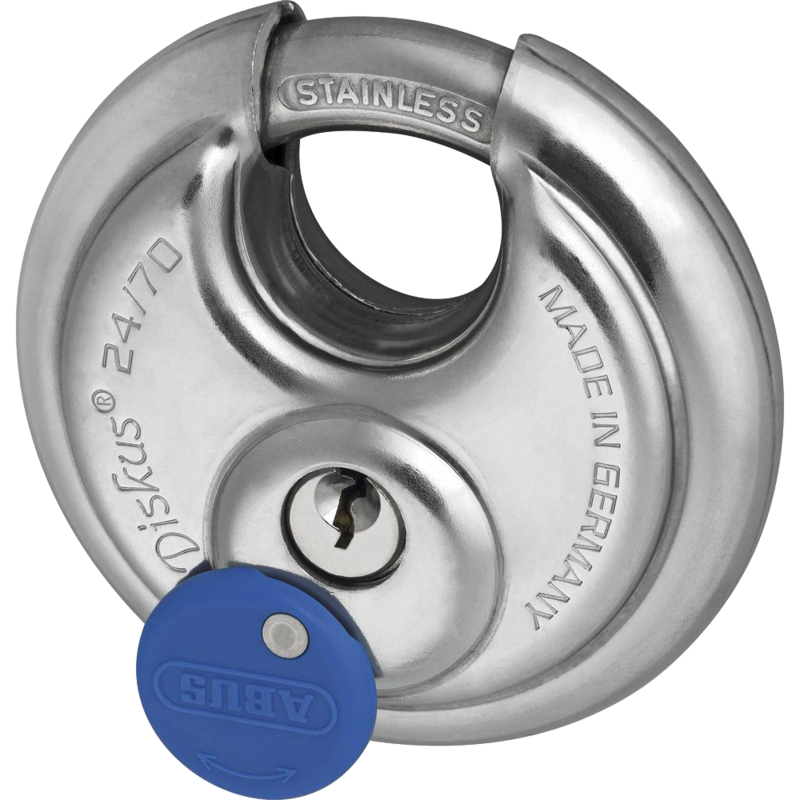 The DCL1 Discus padlock has a key fob on the key for easy identification and is particularly suitable for vans, industrial units, lock ups and storage areas. 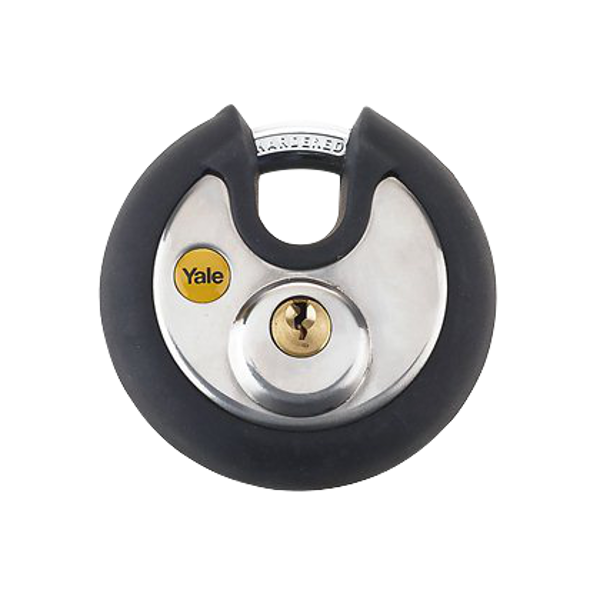 The Yale Y130P high security anti-cut disc padlock offers the ultimate in cut resistance. 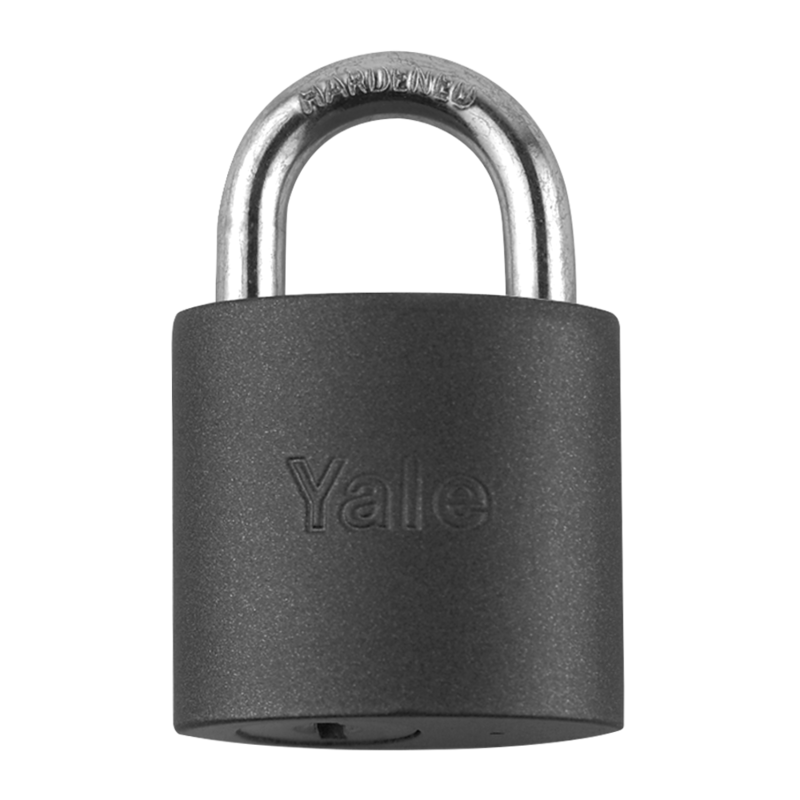 This high corrosion resistant closed shackle stainless steel padlock is fitted with non corrosive internal components and a rubber case, making it an ideal choice for outdoor use.